Did you know that iOS 7 has support for proper, physical game controllers? For the first time ever Apple has hinted at a future for its platform that doesn’t solely involve smearing fingerprints on a screen, after adding a proper API for external game control with iOS 7. The controllers themselves are thin on the ground at present, but game support is starting to broaden considerably. The fact that many publishers are using the App Store as a means of monetising their older controller-reliant wares (Grand Theft Auto III, anyone? Need More After Finishing GTA V? Try GTA III For iOS & Android Need More After Finishing GTA V? Try GTA III For iOS & Android If you have already beaten GTA V, and you want more, GTA III on iOS just might scratch the itch for you. Read More ) suggests that many more pad-friendly releases are on the horizon. Here’s what you need to know for now. At the time of writing, only two Apple-endorsed controllers are readily available for consumers to buy. What’s more, each of the controllers use a slightly different design, with a different number of buttons and directional inputs. This is all in-keeping with the way Apple wants it done, as per their own templates presented last year with the iOS 7 announcement. The first barebones design houses the iPhone within the controller itself, adding a shoulder button on each side and the standard set of face buttons and D-pad. This has a rather limited scope; fine for games like Tetris or Pacman, terrible for anything that requires any hint of analogue control. Fortunately, there’s also a sixaxis-style dual-stick design bearing Apple’s seal of approval. This is far more like it, offering manual control through the use of analog joysticks and two extra shoulder buttons on top. There’s no reliance on housing the device within the controller either, something that might not work so well on a full-sized iPad. These are the designs to which Apple has tailored its API, so don’t go expecting manufacturers to add new buttons or drastically changed layouts – this is what the “Made for iPhone” program is designed to standardise. 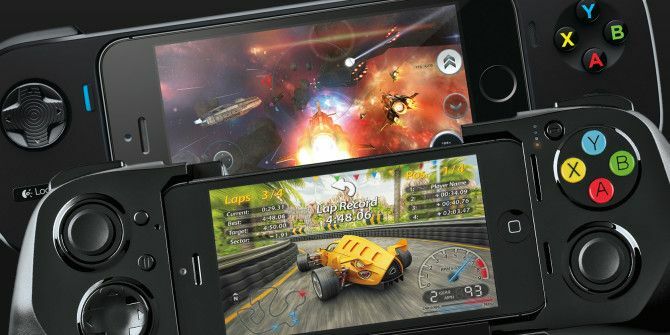 The Logitech PowerShell and Moga Ace Power are first-generation iOS game controllers, and each panders to a different Apple template. The Logitech PowerShell follows the simple layout, and features a slot for an iPhone 5 or iPod Touch fifth generation device (sorry iPhone 4S or earlier owners), comes with a 1500mAh battery pack and costs an amazing $99.99. You can see it in action, below. If you’re craving more buttons then the Moga Ace Power is your other option. It features an adjustable design, into which your iPhone or iPod Touch can snugly fit, regardless of whether you own a current-generation or older device. Moga also included a battery pack, with a capacity of 1800mAh to keep you topped up while you play. Just like Logitech’s controller, the Ace Power costs $99.99. Unfortunately, neither of these controllers are very good. At all. Each has attracted negative reviews, with critics citing the price, poor build quality and a lack of support as being the major reasons to avoid at present. It also must be pointed out that neither of these controllers will work with the iPad, arguably the closest thing Apple has to a “console” at present. There is hope on the horizon, however, in the form of a flurry of new controllers. Critics and gamers alike haven’t been shy about hiding their disappointment in Logitech and Moga, which means for latecomers SteelSeries there’s a chance to steal the show with their newly announced “Stratus” controller. The Stratus makes no attempt to charge or cradle your device, and instead opts for a Bluetooth connection. This provides full compatibility with the iPad, frees up the Lightning port and the design makes the Stratus somewhat future-proof against design changes too. You’ll get 10 hours playtime on a single charge, and three other Stratus controllers can connect to the same device simultaneously. Unfortunately the Stratus comes with the same $99.99 price tag, which makes Sony and Microsoft’s sturdy home console controllers look cheap. There’s no charging abilities to soften the blow, and though early reviews from the likes of TouchArcade suggest it’s a nice controller, it’s not without its problems (and then there’s the price). We’re about a quarter of the way through iOS 7’s release cycle, and there are already many games that support the new controller API. There are also plenty of games that lack support, and will never be seeing it, mostly because they’re been designed with touch interfaces in mind. 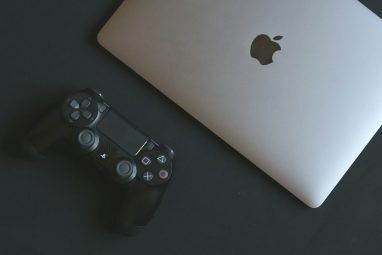 In every review of every game controller for iOS, Android or any touch-first mobile platform, the question is raised: do I really need a controller? If games are designed for a touch interface, what benefits does adding a D-pad and some face buttons do? Well for the vast majority of games, these benefits remain hidden, and support remains absent. And then there are the action games, the simulations, the ported console titles – rejuvenated with HD graphics and shoe-horned into touch-control schemes. These are the games that benefit most, and despite there being some stellar examples of how physical controls enhance the gameplay, these remain the exception rather than the rule. Pretty much all of Rockstar’s Grand Theft Auto iOS re-releases benefit from a physical controller, with GTA: San Andreas providing one of the deepest and richest mobile gaming experiences yet. Fans of flight simulators shouldn’t miss Sky Gamblers: Storm Raiders which makes excellent use of analog sticks for plane controls. Blood-drenched first person shooter Dead Trigger 2 Dead Trigger 2: A Refined Shooter For The Casual Mobile Gamer Dead Trigger 2: A Refined Shooter For The Casual Mobile Gamer With Dead Trigger 2 developer Madfinger Games has made the sequel to one of the best mobile zombie-shooters easily accessible for the casual gamer and broken it down into bite-sized chunks. Read More also benefits in a massive way: now you can actually aim! There are a bounty of iOS re-releases that demand (and are now compatible with) a controller, among them Bastion, Terraria, LEGO games like LEGO Lord of the Rings and platformers like Limbo. Of the games designed with mobile in mind, Zelda-like RPG Oceanhorn and Asphalt 8: Airborne provide a fairly seamless transitions to physical controls. 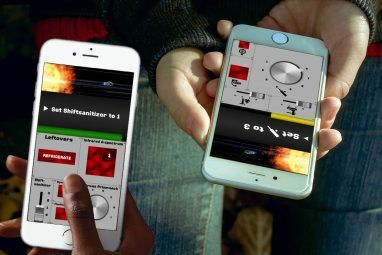 To find more games that are compatible with the new controller API, why not download and install the free Game Controller Apps app for your iPhone. It’s a barebones list of compatible apps and controllers, with relevant links to the App Store and manufacturer websites. It seems fairly well updated at the moment, and will have to do until Apple adds some sort of indication of controller support to App Store descriptions. If you’re a jailbreaker then you’ll be delighted to find out that it’s possible to use Sony’s Dualshock 3 PS3 controller with your jailbroken iOS 7 device. All you need to do is download Controllers for All, a $1.99 Cydia tweak that turns your iOS device into a full-on console. By connecting via Bluetooth, you’re free to connect your device to a TV via HDMI and enjoy latency-free gaming on the big screen. iDownload blog reckons that “this tweak is reason enough alone to jailbreak” and we can definitely see where they’re coming from. You can pick up a PS3 controller brand new for $59.99, and far cheaper second-hand or on eBay – which sure beats paying $99 for a cheap first-generation “Made for iPhone” controller. The tweak works with any official Dual Shock 3 at present, though Dual Shock 4 support is apparently coming soon. If you’re jailbroken you can go ahead and download Controllers for All for $1.99 from Cydia’s ModMyi repository. You’ll also need a small program called SixPair which is used to sync the PS3 controller with your iOS device, for which full instructions can be found here. 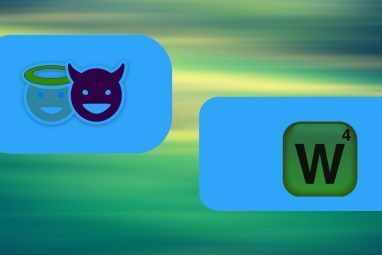 That’s all there is with regards to controllers on iOS for now, let us know what you think and whether the Controllers For All Cydia tweak is enough to convince you to jailbreak in the comments, below. Explore more about: Game Controller, iPhone Game.